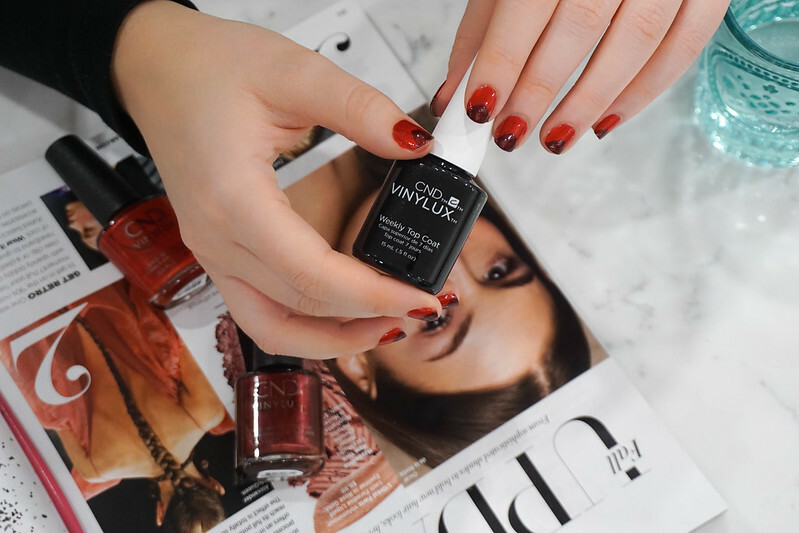 So excited to be teaming up CND™ VINYLUX™ again this year to create yet another super easy, yet GLAM fall manicure that will perfectly compliment all of your amazing seasonal outfits! 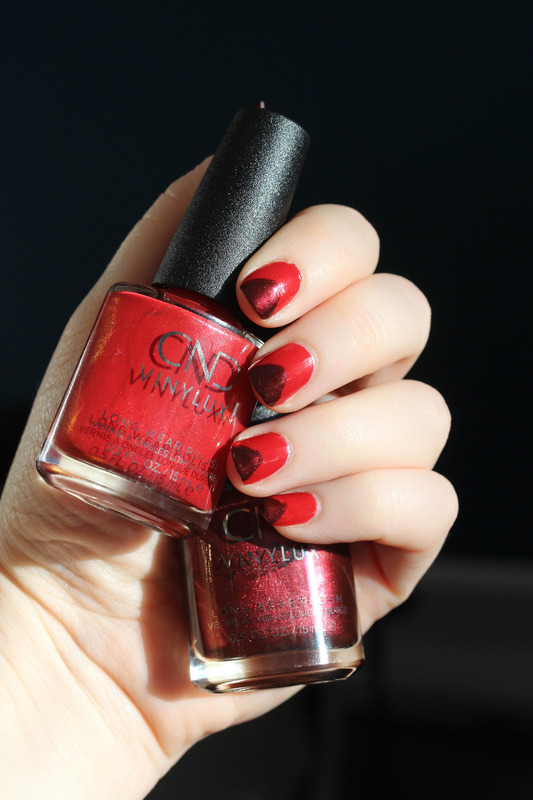 I love using CND™ VINYLUX™ Long Wear Polish for manicures with nail art because it’s long wearing and chip resistant. I also love that you get the look of a gel manicure, but with the easy removal process of traditional nail polish. 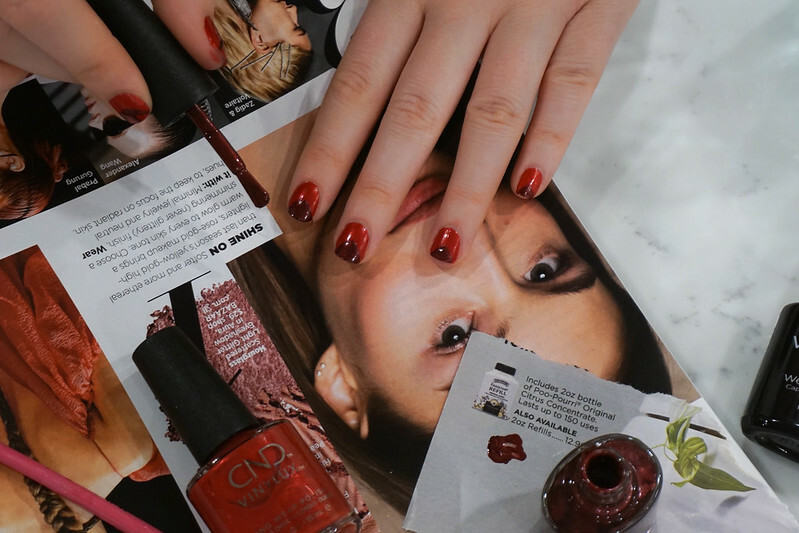 I’m really into monochromatic looks this season, so I chose CND™ VINYLUX™ Long Wear Polishes in shades “Crimson Sash” and “Tartan Punk” for today’s glam fall manicure! I wanted to keep it simple and easy for you to recreate, but still elevated enough to impress your friends! And with CND™ VINYLUX™’s easy two step application process you’ll be the envy of all your friends in no time! So scroll through my step-by-step tutorial (with photos!) 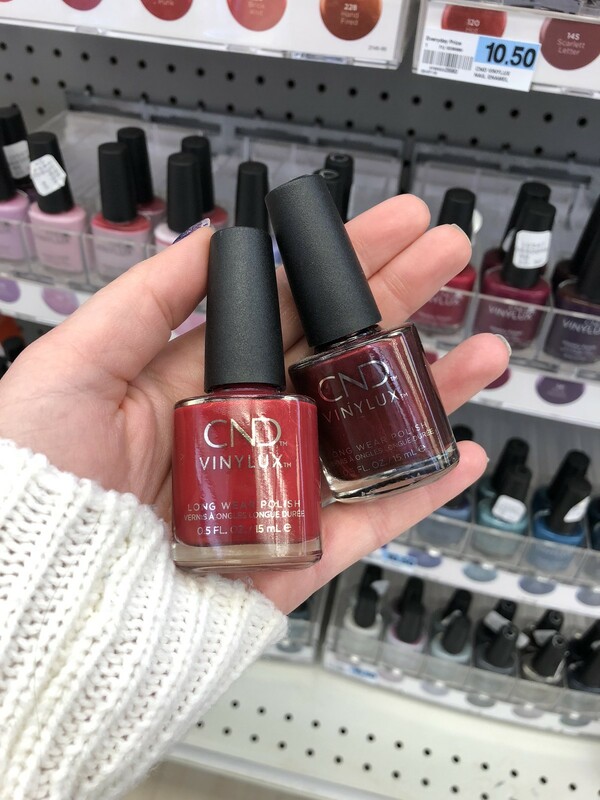 and make sure to make it all the way to the bottom of today’s post to pin this post for later and for a deal on CND™ VINYLUX™ Polishes at your local Rite Aid! Step 1: Apply two thin coats of your Base Polish! Step 2: Use a striping brush to mark out your design. 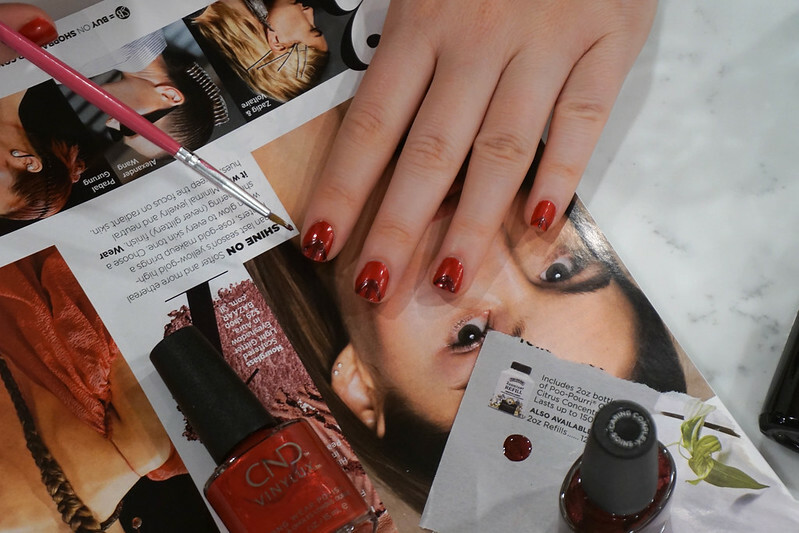 Step 3: Fill in your nail art design with a thin coat of your accent color. 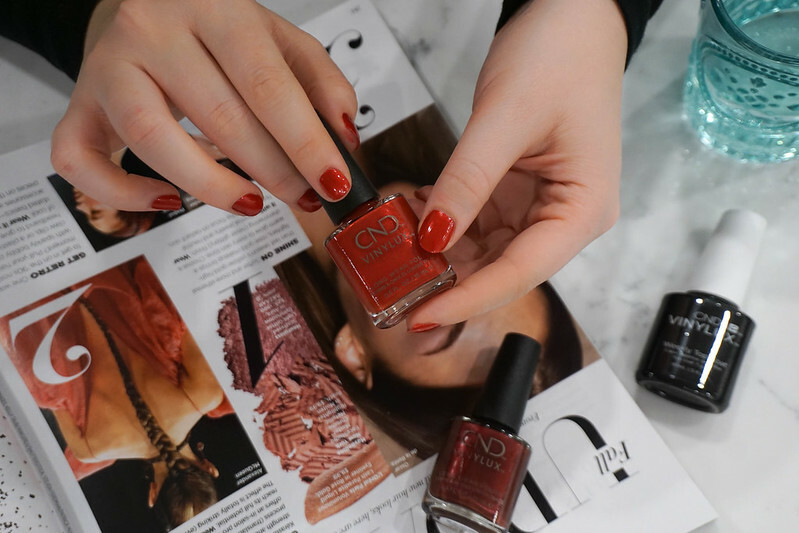 Step 4: Finish with one coat of CND™ VINYLUX™ Long Wear Top Coat for a gel-like finish.